The lime is subtle, but still noticeable in this cake, but you could certainly add more or less juice or zest to your tastes - it's not enough liquid to affect the texture of the filling! For the crust, mix melted butter, egg and cake mix until well incorporated. Press to the bottom of greased pan with fingers. Using an electric mixer, blend softened butter, cream cheese, 2 eggs and lime juice and zest. Slowly add powdered sugar and beat until smooth. Pour filling mixture over crust. Bake for 45 minutes, or until edges are golden. Do not over bake - the center should still be a little gooey! Cool and dust with powdered sugar (and extra lime zest if desired). I keep hearing about this cake, and am intrigued! I may just try it soon! Kylee - try it! You will NOT be disappointed! 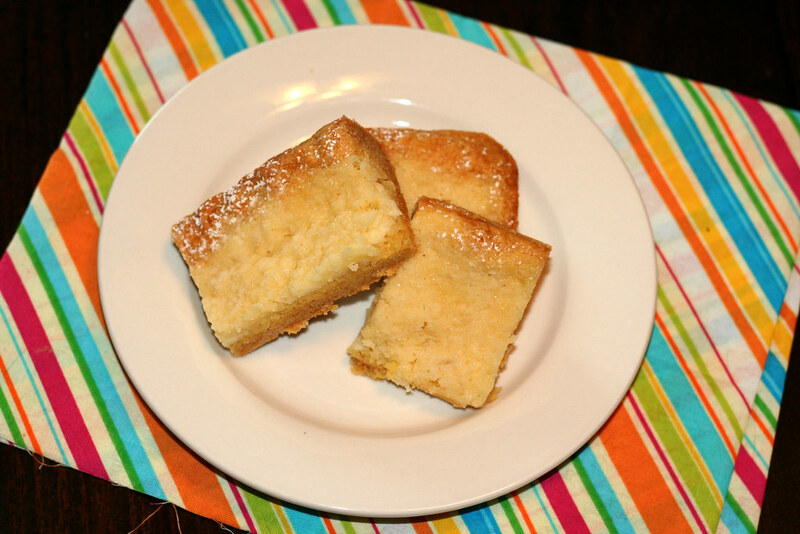 Gotta love living in St. Louis - I feel like the knowledge of gooey butter cake is privileged information! You can make so many different types of gooey butter cake. The options are endless. I recently made a coconut. Coconut cake mix for the bottom. Follow the above directions. A layer of white chocolate chips. Added coconut and lime zest and juice to cream cheese mixture. It was amazing.